*Price may vary on different supermarket (or stores). Cleanse your face and dry it. Open the mask sheet. Stick the mask sheet to your face, do not cover the eyes and mouth area. Let it stand for 10-15 minutes. Remove the mask and massage your face gently until the essence left is absorbed completely. Rinse with water if needed. Kracie's Extra Moist Facial Mask contains Royal Jelly and Hyaluronic Acid which are able to restore the skin's hydration for intensive moisture to make the skin more supple, soft, and fresh. Royal jelly extract nourish the dry and rough skin so that the skin becomes more supple and healthy. Hyaluronic acid maintains the skin's moisture, controls the regeneration of the skin cells, and increase the skin's suppleness. Hyaluronic acid is an important component for skin cells' regeneration. Formulated with lemon extract to soften keratin so that the skin could absorb the moisture optimally. First of all, I don't really like the scent when I first opened the package. I don't know how but it was a kind of not-so-pleasant smell which changed when I applied it on my face. You can see from the photo that the mask sheet's size is a little bit too big for my face. Actually for me, it's normal since it's the usual size for mask sheet. This mask also has sufficient essence. When applied, it has this nice cooling and relaxing effect. After usage. I could feel my skin became softer and smoother even though it worsened my acne scars (it reddened again). I'm quite happy that this mask did its job for it reduced the dry patches from my skin. Kracie's Brightening Facial Mask contains Vitamin C and Collagen which increase skin's moisture, helps to brighten up the skin, reduces skin's pigmentation by suppressing the production of melanin. Collagen moisturizes the skin intensively. Vitamin C, which is rich with antioxidant, freshens the skin, brightens up the skin, maintains the skin's moisture, protects the skin from the negative effects of free radicals, increases the production of collagen, and reduces skin's pigmentation. 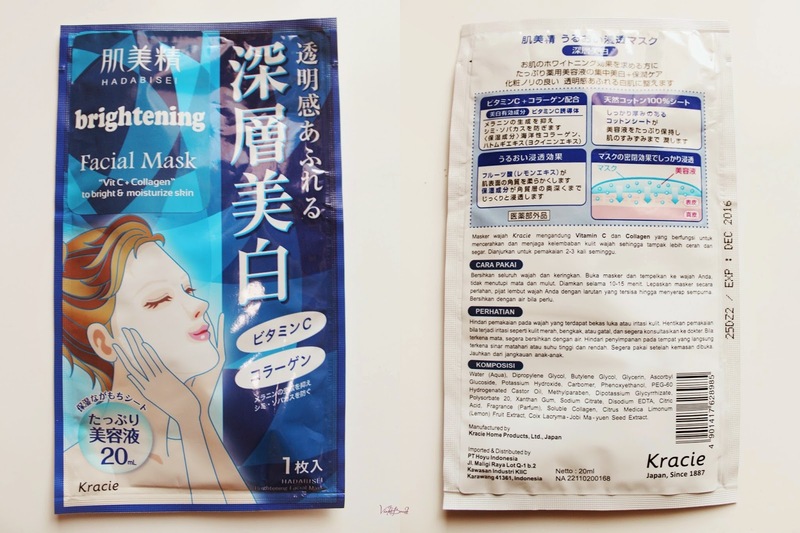 Generally, this mask has the same scent, same size, and same cooling-relaxing effect like the other Hadabisei masks. Also, this mask has sufficient essence. After usage, the pimple on my forehead grew bigger TT Other than that I felt that this mask brightened up my skin a little bit and it made my skin moisturized, softer, and smoother. 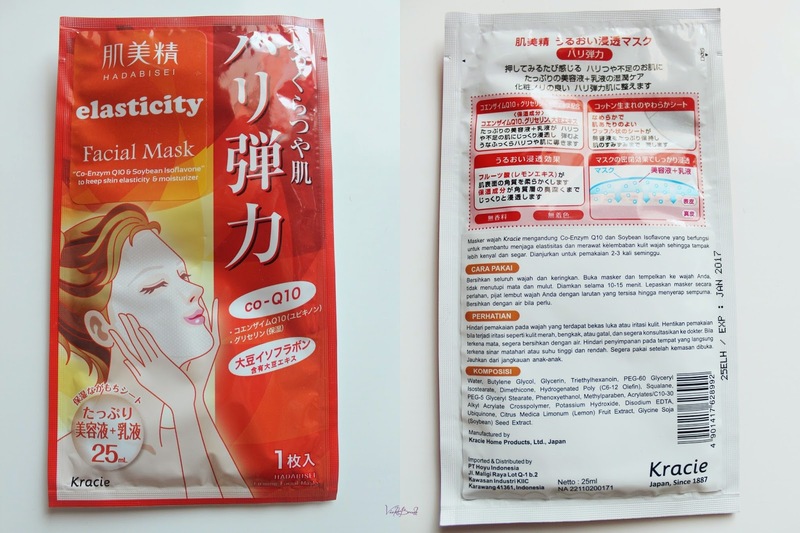 Kracie's Elasticity Facial Mask contains Co-Enzyme Q10 and Soybean Isoflavone which are effective to increase the skin's moisture and softness, restore the skin's elasticity, and maintains the skin's suppleness by reducing fine lines and wrinkles on the skin which is caused by aging and UV rays. Soybean Isoflavone stimulates the production of Collagen and Elastin which maintains healthy and young skin. Co-Enzyme Q10 is absorbed into the skin to repair the skin's structure, return the skin's elasticity, maintains the skin's elasticity and moisture. Unlike the Extra Moist and Brightening masks which have transparent essence (like any other masks), this Elasticity mask has milky white essence. Of course, this mask contains sufficient essence. I think it's caused by the soybean seed extract. 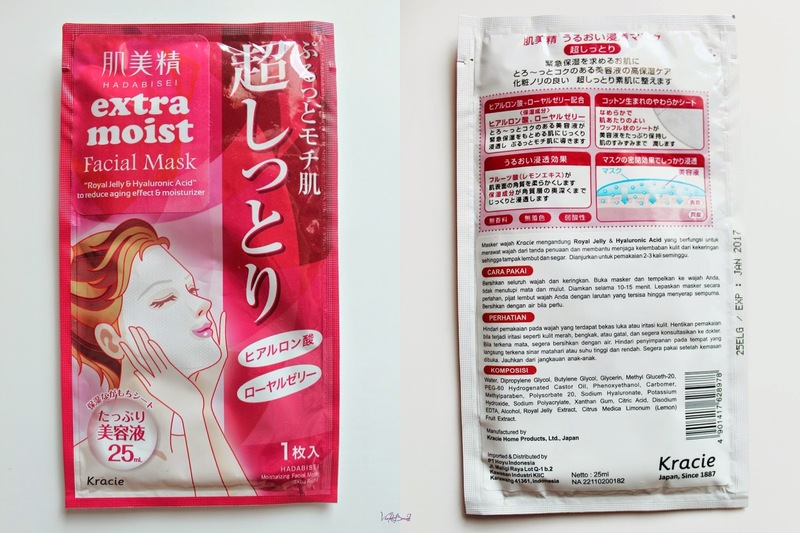 Generally, this mask has the same scent, size, and same cooling-relaxing effect with the other Hadabisei masks. When applied, I don't know why it kind of "burnt" my drying pimple below my nose. 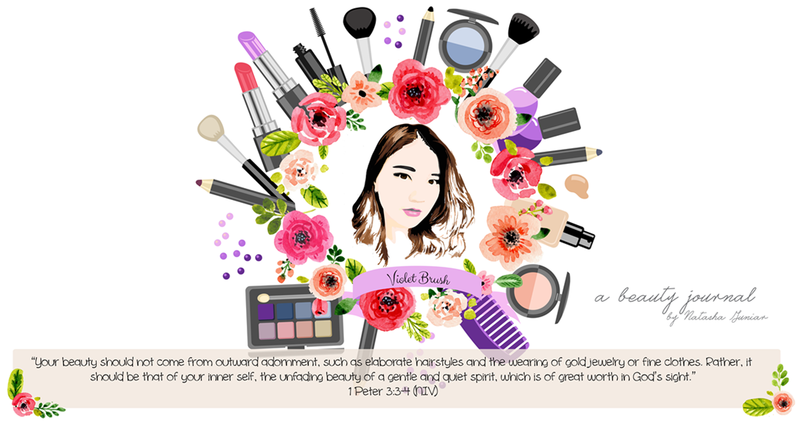 After usage, my skin felt more moisturized, softer, smoother, and more supple. I think that these Hadabisei masks do make my skin softer and smoother. They have sufficient essence even though the scent is not-so-pleasant. One good thing is they have affordable prices and are easy to find in nearby supermarket and pharmacies. However, I feel like these masks don't suit my skin well after seeing the results. Available in Guardian, Century, Watsons, Farmers' Market, Foodhall, Grand Lucky, Papaya, and Ranch Market. Aku juga pernah coba pakai Brightening Facial Mask dari Hadabisei. Memang sih bikin cerah, tapi kurang lembab di kulit wajah. Jadinya gak aku sering-sering pake. Untuk produk mask Hadabisey, aku lebih cocok yang Eye Zone (mask untuk mata). Mask nya berbentuk jel dan bening banget. Thanks for nice info, Nath. Cos yang Extra Moist dan Elasticity aku belum pernah pake.